In a world where stress levels are soaring, depression and anxiety are on the rise, and instances of dementia continue to increase, keeping your brain in tip-top shape has never been more important. Luckily it’s possible to improve focus and memory, reduce stress and promote brain health simply by enjoying a diet rich in the right nutrients. Delia McCabe has spent over two decades researching exactly what the brain requires to function at its highest potential. The result: this valuable, informative guide, containing her unique 7-step plan designed to help you modify your eating habits quickly and easily and learn to feed your brain what it needs. Delia McCabe has a Masters in Psychology and is completing her doctorate on the effects of certain nutrients on female stress. For the past 20 years she has combined her knowledge of the human brain with research into how food influences brain function. She has seen time and again that the right diet can have a dramatic influence on our memory, moods, ability to focus and stress levels. Delia speaks nationally, and presents seminars and workshops teaching people how to achieve optimum brain health via nutrition. This is her first book. 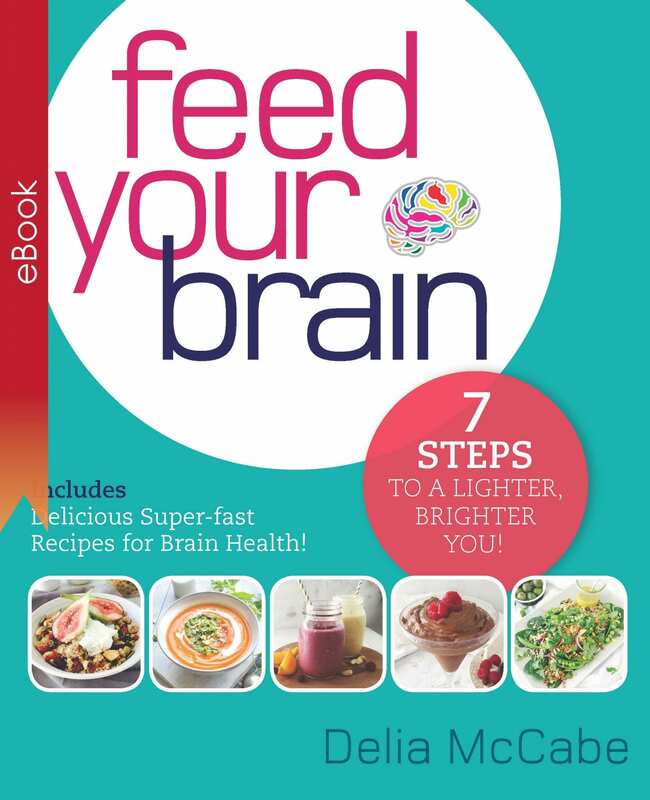 “Delia takes you through her seven-step program, simply and clearly, explaining the science behind how the brain works, and showing how vitamins, minerals, fats, oils, carbohydrates and proteins affect brain function.” Full review here. Active Retirees Magazine has featured Delia’s delicious Golden Vegetable & Cashew Nut Soup recipe. Get the recipe here. Delia joins Sean Nicholas on The Transformed Man Show to talk about Gut Health, Nourishment, Maximising Brain health and more! Learn more about Sean’s Podcast here. “The important role that your diet plays in keeping your brain healthy and your mind alert” – Click here to read the 4 page article. 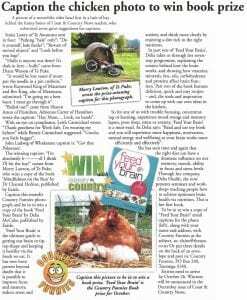 Coast and Country are offering another chance for readers to win a free book, this time Feed Your Brain is up for grabs! Click the image below to find out how to enter and get cracking with those ‘so bad it’s good’ puns. 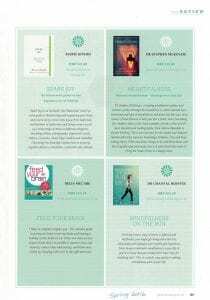 Feed Your Brain featured in the Spring issue of Beauty New Zealand, along with two other Exisle titles; Heartfulness and Mindfulness on the Run. I am writing to let you know how wonderfully effective your book has been as a resource for some of my clients with mood swings, and many of my adolescent clients who suffer with depression. As you discuss in your book, food impacts the brain and your book is a fabulously in depth resource for myself as well as for my clients. I thank you for putting the information in an easy to read, easy to understand book, and thank you in advance for many more informative books that helps us all to eat well for energy, nutrition and pleasure. 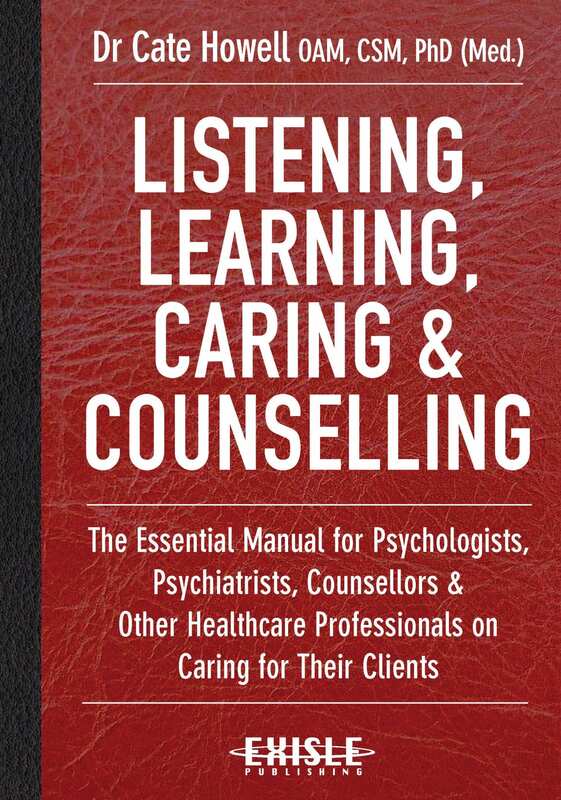 Written by an experienced and awarded psychologist, Listening, Learning, Caring and Counselling is essential reading for counsellors, support workers, case workers, medical practitioners, health professionals — from physiotherapists, pharmacists, doctors, dentists and their assistants to nutritionists and naturopaths — serious life coaches and emergency workers, as well as those in the fields of human resources. Presented as a highly accessible reference work, Listening, Learning, Caring and Counselling draws upon an immense wealth of case studies that emphasise how health professionals can give their clients the help they need during times such as grief, depression and addiction. As well as 15 informative chapters there are self assessment form templates in the appendix area. Over the years, Dr Cate Howell OAM, CSM, PhD (Med.) has worked with many clients who wished to lose weight. 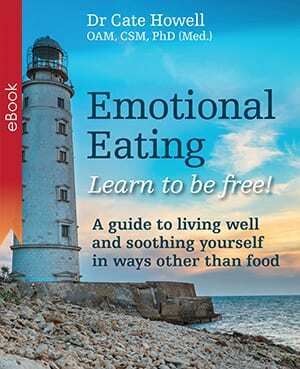 In the ‘Emotional Eating: Learn to be free (EE-Free)’ program, readers begin by answering 10 of the common questions about EE, and then focus on different approaches and strategies that can help you find freedom from EE. This book and program is about living well, and improving your health and wellbeing so that you can find freedom from EE. So, let’s begin! If You or Someone You Love has Breast Cancer, You Need This Book! In ‘Breast Support’, Gwendoline Smith describes not just the physical and medical experience of breast cancer, through diagnosis, surgery, recovery and rehabilitation, but the emotional and psychological experience too. Supporting Gwendoline’s text are contributions from her medical specialists who tell the story from their point of view. Dementia is affecting more people than ever. For each person afflicted, their family are faced with hard decisions about how to look after them. A valuable and inspiring resource, this book focuses on how to make living with dementia as positive as possible, as well as offering practical suggestions and activities that can be tailored to suit individual needs. 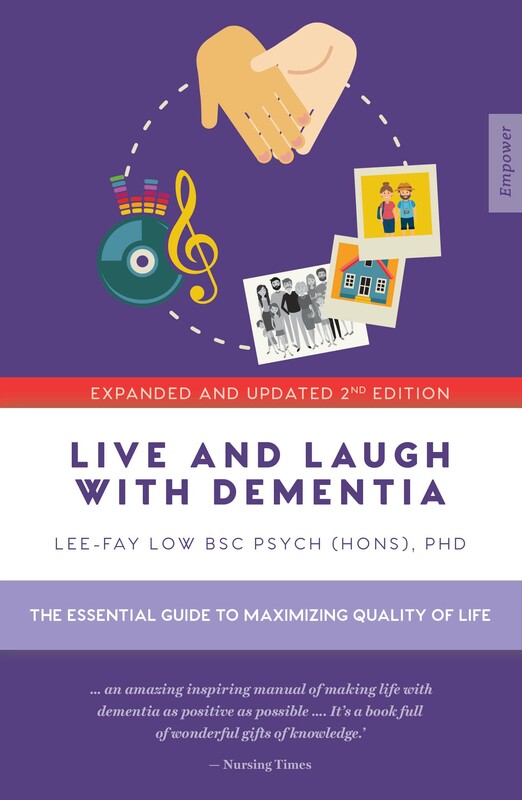 Dr Lee-Fay Low is a leading researcher in the field, and has created Live and Laugh with Dementia to support loved ones and carers in maximising quality of life for the sufferer by helping them maintain their self-identity and continue to experience happiness.